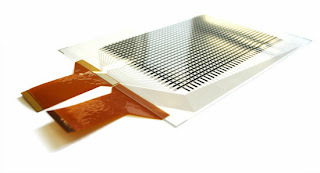 I've been looking at some of the new possibilities of musical instruments that could use a touch sensitive surface that is pressure sensitive to allow the artist to input the needed changes in pitch and volume and modulations that is needed to play and perform music in real time. A very good example of such a device can be seen at Roger Linn's website. His instrument is known as the linstrument and the prototype can be seen here: http://www.rogerlinndesign.com/preview-linnstrument.html. This has many of the things I'm looking for accept it's a bit too small but most important it's NOT pressure sensitive. 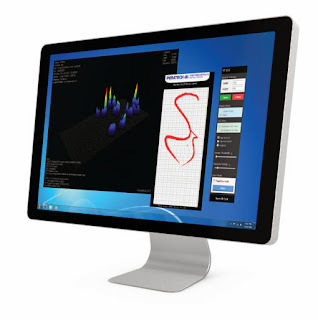 It does have multi-touch sensitivity and it can be obtained for as little as $50. This or something like it might be were we have to start at least on the software development of the musical software if a better device is not found. 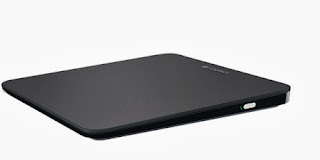 Logitech also has something that just might work to start called the touchpad T650 http://www.logitech.com/en-us/product/touchpad-t650 for less than $80. 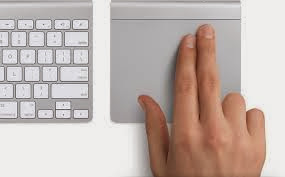 I see no information about it being pressure sensitive at all, only that it is multi-touch sensitive. I've now also found that this device does have some support with drivers on the Linux platform. The size is also a bit on the small side at 5.1 x 5.3 x 0.3 inches but I could live with that to start if it had at least 32 levels of pressure sensitivity. The other cool thing about this unit is that it's wireless over blue-tooth that would make it easier to use on stage in a live type music event maybe. There are a few other brands just like the logitech above including lenovo and a few more unknown brands but they all cost about the same or more than the Logitech above and don't have a good record of being compatible with Linux. So if I was to try one of these touchpads I would try the T650 above first just as an experiment to see what could be done with them. Synaptic also has something that sounds like it's almost perfect with it's ForcePad technology. http://www.synaptics.com/about/press/press-releases/synaptics-launches-new-era-revolutionary-human-interaction-solutions-mobi. and here is a link to a video that shows how it can sense forces at multi positions here. But the only product I see it used on so far is on laptops as built in devices. And the ones I do see on laptops is still a bit too small of a working aria to be used in music. It looks like the series 7 chip set used in the device has the ability to support up to a 17 inches diaginal surface so maybe this will be part of what is needed in a device I am looking for. It also claims that it supports up to 64 levels of pressure that is good enough to start also. The other cool thing about Synaptic is they seem to have good Linux support. I see there drivers in almost all Linux systems I've seen including androids. If we just saw someone build a usb interface product with it at a price less than $100, I think I would go for this. Flatfrog http://flatfrog.com/ looks to have something that they say has up to 1000 levels of pressure sensitivity and at up to 40 points of contact. I'm not sure about how fast it can be read or at what precession in X and Y axis, but from the video it seems that it lags in speed a bit but I'm not sure, that could be in the software that it was being used on. And this is meant to be used on large video screens not as a usb touch-pad. But who's to say it couldn't? And I wouldn't mind if I had a display under my next device if I might be able to afford one. This is looking very promising but how long will we have to wait and how much will we have to pay to have a device that has one in it? 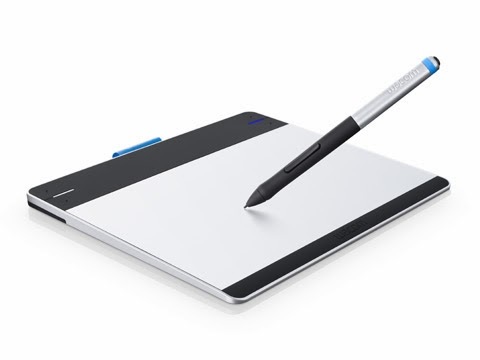 that claims it has 1024 levels of pressure sensitivity but I think that's only when used with the pen stylus. 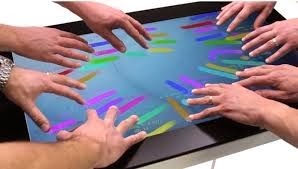 It also has multi-touch gestures but I think with only 2 fingers. But the size and shape and interface with usb is just about what I'm looking for or at least big enough to start. The resolution is also fantastic at 2500 lpi (lines per inch) that is much more than is needed for most of my projects. And the price is maybe a bit high at $190 but if it did all I wanted I just might get one. If it just had 10 point touch sensitivity and at least 64 levels of pressure sensitivity with fingers instead of a pen at each point I might be sold if nothing else become available in the market soon. Oh and I also don't see it as supporting Linux but I hope I'm wrong about that. http://www.sensibleui.com/ looks to have exactly what I was looking for with a prototype device that looks to be just about the correct size and is pressure sensitive. From the videos I've seen on there site it looks to put out the kind of data I'm looking for and at a sample rate that might be fast enough. So I would like to find out how much it costs. Or find a device on the market that uses them. It seems they don't really sell it they just develop the technology. I also don't see that they have drivers for Linux, only windows 7 and windows vista support? There website is very unclear as to any of it's other specifications so maybe they are worth attempting to contact to see how they will respond. So the questions is should we just wait for one of these companies or others to have what is needed for a musical instrument input device, or see what is needed to have something made that is more to the specs that are really desired. I am confident over time all android type devices touch displays and standard computers will have devices like these avalible for any table top computer that will be at a price of $20 or less in about 10 years. But I'm just not sure I can wait for that time to come. In this new world of kickstarter.com it can be the people who decide weather they will wait and see or just get started playing with it today. With kickstarter.com we will start by seeing if we can raise about $500,000 to produce 10,000 units with the first units delivered being simply prototype units with no case. At that point only the basic working interface drivers will be available with no real package just a development kit with the electronic interface and sensor plate available. With the help of this group of open source developers we will have at least a minimal set of applications and working added feature drivers that will run with the unit including the demo musical synth. At that point if no bugs are detected and a demand for the devices are seen then a larger production run could be started that would include a plastic case to contain the device and a set of plug and play software included in the package. It will run on Ubuntu Linux and Android with the possibly of basic drivers for windows 8. Also we could create larger longer unit sizes with more surface aria in the future line of products depending on what the market demands. Much research is needed to get estimates of time to delivery and the costs of each stage of development. I am hoping to get the first prototypes delivered for less than $500 each if we only order 1000 units. That will provide 500,000 in capital to produce the first 1000 units. If we get production up to 10,000 units I hope to get the price down to bellow $100 per unit. I haven't done all the research needed to verify any of these numbers yet so only time will tell. Depending on the amount of interest will also determine how long it takes for any worthwhile software to be developed for the unit. Without the software there may be no interest. Lets let the people decide.